The response to that last post I made was...absolutely staggering. Thank you to those of you that donated, thank you for the birthday wishes, thank you for the email hugs or the simple 'I understand's. I am headed back home next month - my father is quietly pleased about the whole thing, and the rest of my family is looking forward to seeing me again as well. THAT said, I do have a problem that I'm currently trying to untangle - I have two cats, and I cannot take them with me. 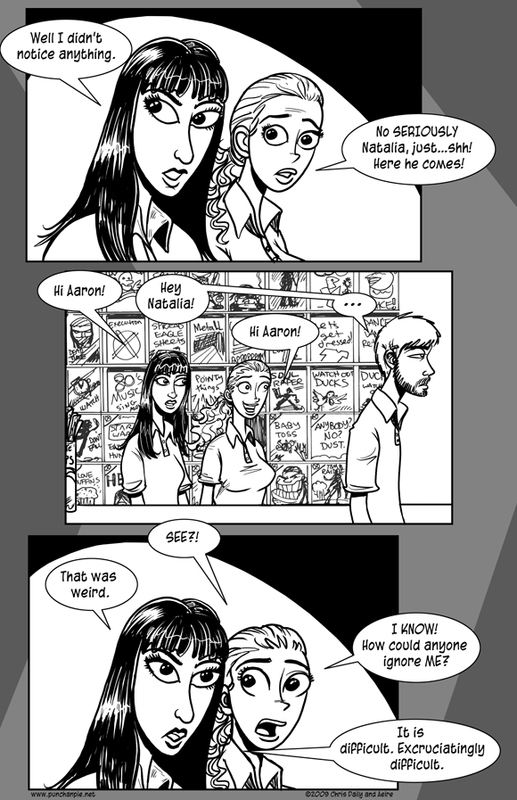 I've been asking around my circle of friends, and it occured to me that maybe I ought to post here as well - I don't know how many of you are in the San Diego area, but I DO know that the people that read my comic are an all right sort that enjoy the same sorts of things that I do, and would probably get along quite well with the kitties, if they were looking for furry four-legged companions. I've made a much longer and more detailed post, with pictures and information, on the Livejournal Community, click this link to go to it. I'd like to find them a nice home. Preferrably one where they're spoiled absolutely rotten. If you are interested, or know someone that is interested, please have them contact me via the queenofwands dot net address.